volleyball Players Position ~ Hellow Volleyball. Once we learned the last post about the Volleyball Scoring Systems, it is time we learn the more advanced techniques of the description of the basic techniques of volleyball. in a sport or game that definitely takes its name formation and in each formation has different functions. I think its enough. that can i have to learn more about players. 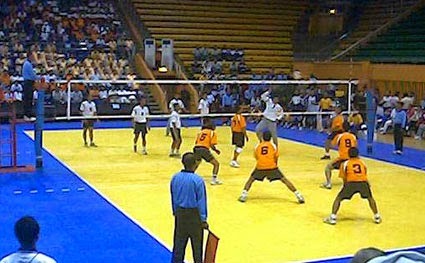 to more detail on strategy and technique in volleyball. wait to next post. thank you, i hopefully it's help you.